As a newbie in the office, you may not know how to control your emotions when you are stressed. Emotions in this context refers to extreme emotional responses such as excessive expression of anger. So, how to control your emotions effectively? All behavioral changes start from one thing. The decision, acceptance and commitment in your mind that you want to make that change. In this case, self-control is possible albeit a long and gradual process. Only you can make the decision on how to control your emotions. 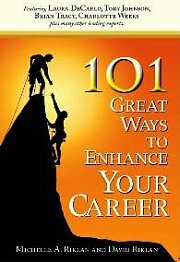 Remember that YOU hold the key to your own success as your behavior can threaten your career success. The idea is that you want to avoid extreme emotional responses for example in the case of anger – rage and hate. Chances are you already know which emotions you need to control. The first step is to identify which emotion. Based on personal experience and observation in the office, these are the few I can identify – anger, anxiety, fear and enthusiasm. You may say, “Wait a minute, isn’t enthusiasm a good emotion? Why should we control it?” Well, remember that we are talking about excessive expression of that emotion. Ever met a colleague who shows too much enthusiasm on a particular project that it just gets in the way of other team members? We often hear colleagues acknowledging that they have a certain problem but that there is no point in changing their behavior. These people like to admit their mistakes expecting you to excuse them but at the same time you are to accept that they won’t make an effort to change. It is crucial to get rid of the stupid excuses that make you think you don't have to control your emotions. In this case again, we are referring to excessive expression of emotions in the office. When I hear these excuses, it always makes me wonder if these people know who their true self is? Is the ‘true self’ static? Aren’t our beliefs, attitudes and actions constantly changing? If that is so, then why can’t one choose to change for the better? Remember this, if you want to know how to control your emotions, positive change should happen. Self-improvement has nothing to do with ‘true self’, age – young or old; and friends and colleagues accepting who you are. Self-growth has everything to do with you and not others. Positive change should and can happen once you think about the career success it can bring. What are the situations that push these emotions? Is it stress or lack of time management skills? Is it the tone and manner, which someone used to communicate to you? For example, there must be something that caused the excessive expression of anxiety. Does it happen before a major presentation? Once you understand these then you can begin to address them. This exercise is one that I feel you can implement almost instantly to control your emotions. Ask yourself these questions and take these steps whenever you feel your emotions getting out of control. If it is a yes, what can I do about it? Then implement a game plan to tackle the ‘problem’. If I cannot do anything about it, then why should I (be angry/be anxious/fear)? Majority of the time, you will find that there are things that you can do, and once you start addressing even a simple plan you will see the emotion subsides. The tendency to over express that emotion is thus minimized. This technique on how to control your emotions is used successfully by myself. Act upon your decision today and see that gradual change. Do You Know How To Control Your Emotions?